Part of the Great Western Electrification Programme (GEWp). 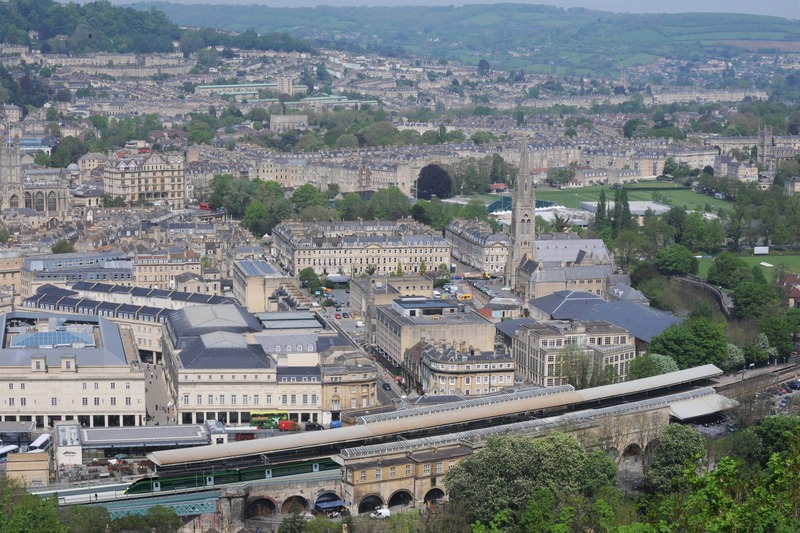 We were appointed to co-ordinate the engineering requirements associated with bringing overhead line equipment through the Grade II* listed Bath Spa station and the Bath World Heritage Site, with the Heritage considerations that would allow the new Intercity Express trains to operate. The early engineering proposal was to install twin support OLE masts at the back of the platform, penetrating the listed canopies and to cut them back to clear the train catenaries. There were concerns that this would cause unacceptable programme delay, we therefore proposed an alternative - centrally located single mast cantilevered OLE supports and to slew the tracks away from the existing buildings. Our new proposal reduced Approvals Risks and helped to significantly improve the existing problematic Passenger Train Interface. We designed platform extensions with modern frameless glass balustrades over the Grade II listed Skew Bridge. However due to overall programme changes only the Up (London) platform was constructed.